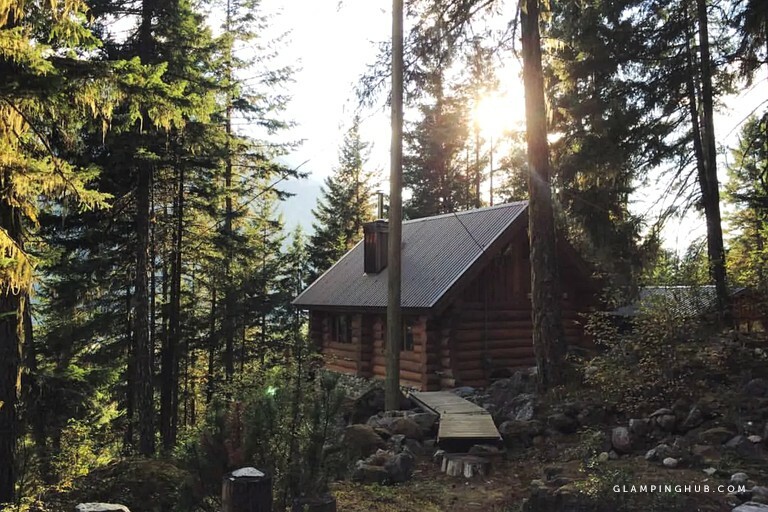 This cozy cabin getaway near Whistler in British Columbia can accommodate up to four guests at a time, perfect for glampers hoping to spend their next vacation in the great outdoors near Joffre Lakes Provincial Park. 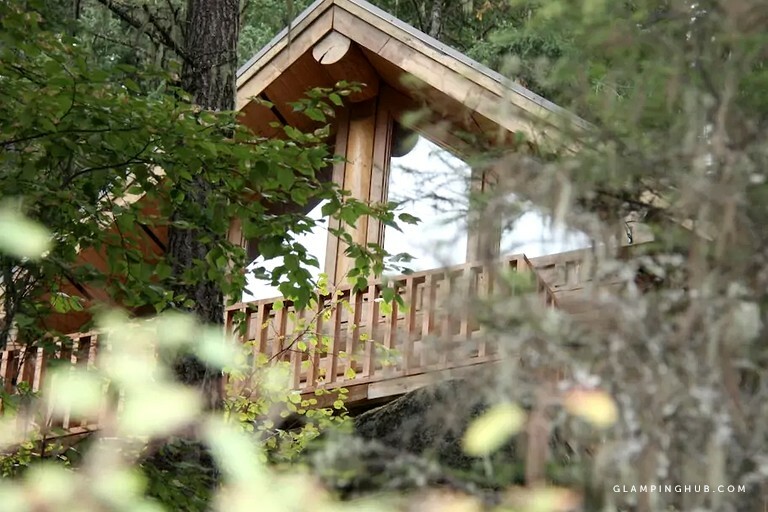 The cabin comes with one bedroom and one shared full bathroom. 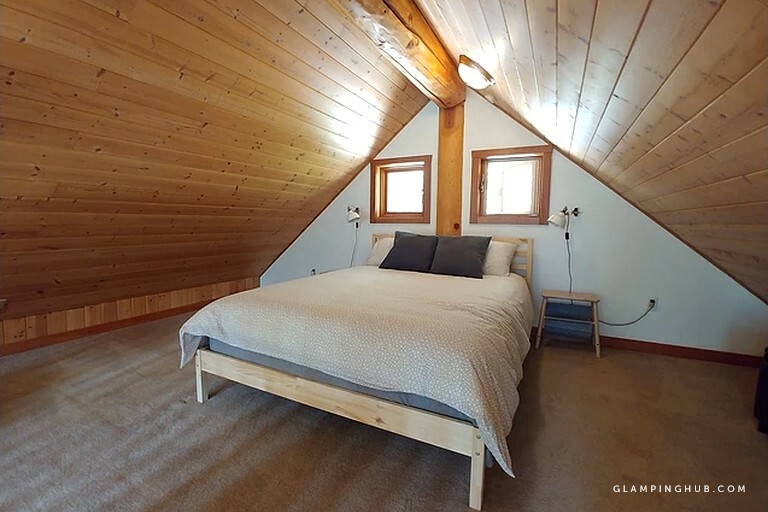 The bedroom includes a full-size bed, accessible via a wooden ladder leading to the upstairs loft. In the living room, there is a sleeper sofa for any additional guests. The bathroom is equipped with a standing shower, a sink, a toilet, and provided linens. 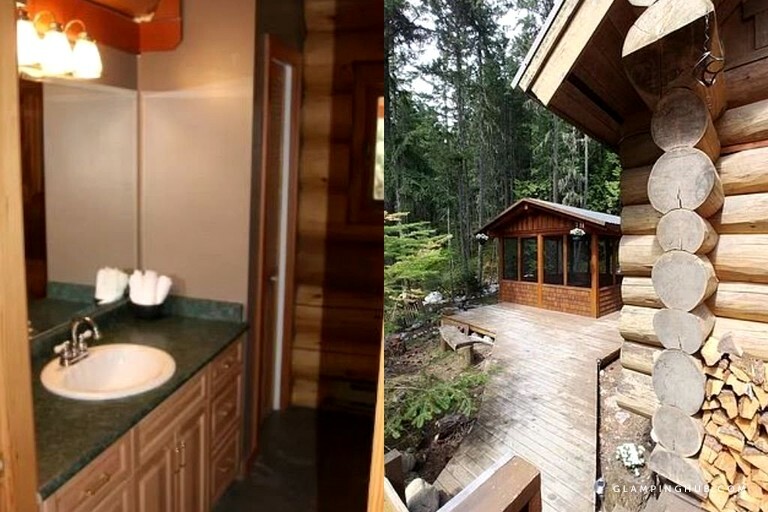 The cabin has one bedroom and one full bathroom. 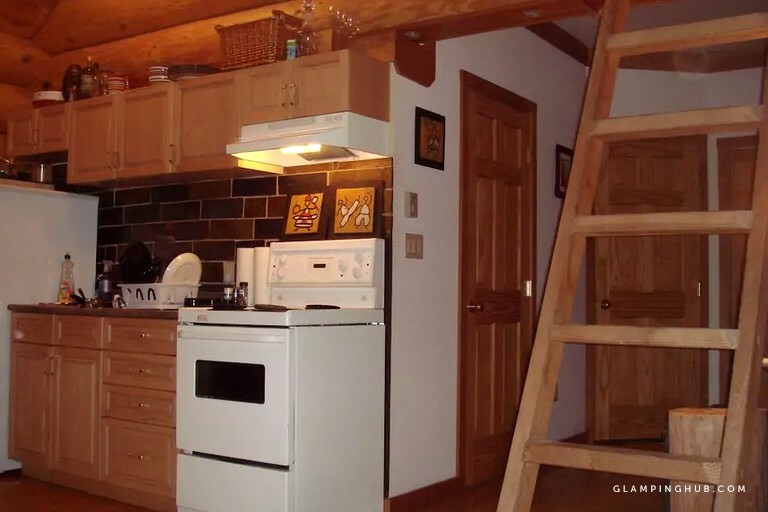 The kitchen is fully equipped with an oven, a stove, a refrigerator, a toaster, a microwave, a coffeemaker, a dishwasher, and cooking utensils, as well as complimentary coffee and tea. 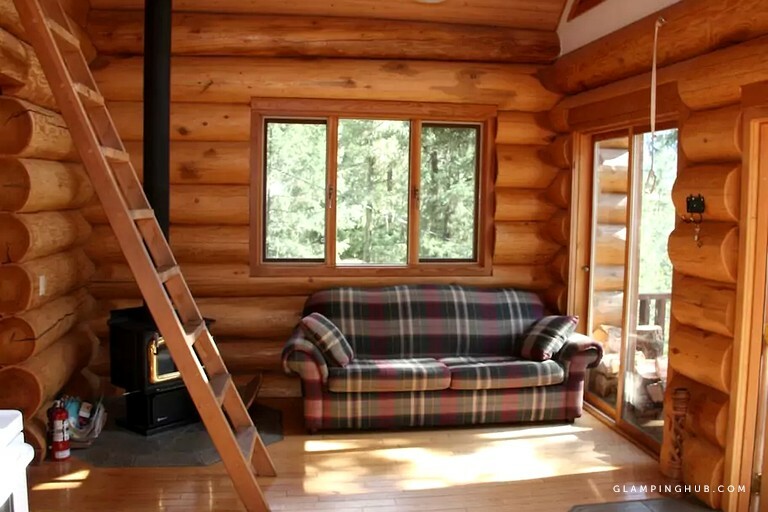 The living room is equipped with a wood-stove fireplace, a flat-screen television with a DVD player and a USB cord, a CD player, and some board games. All linens are provided. 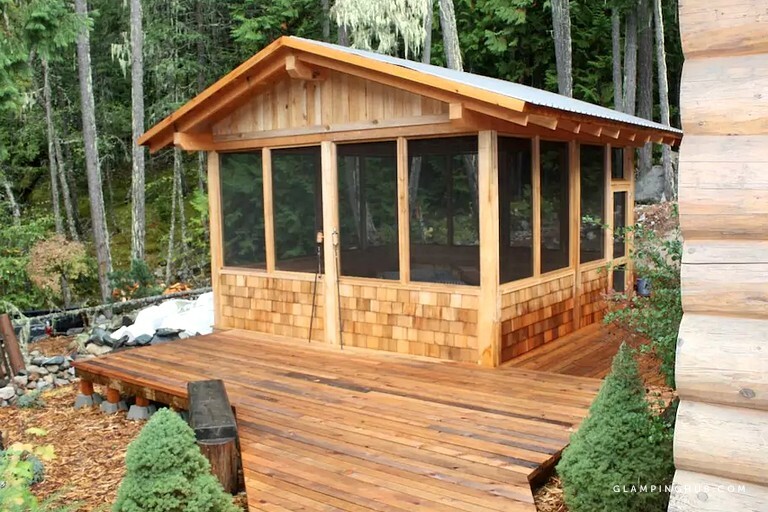 Outside, guests will find a furnished deck with a BBQ grill and a fire pit in the yard, as well as a wheelbarrow full of firewood for glampers to use. 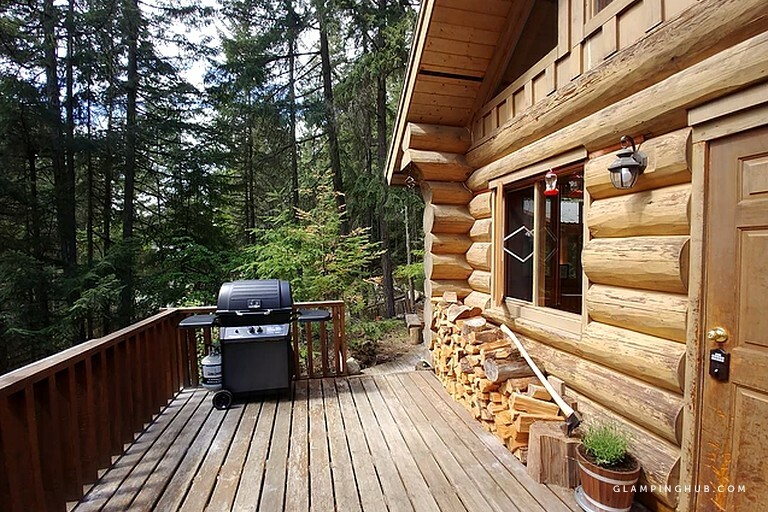 There is also a furnished log-wood gazebo just past the front deck. Guests can use a complimentary washer and dryer on the property. There is Wi-Fi in this rental. 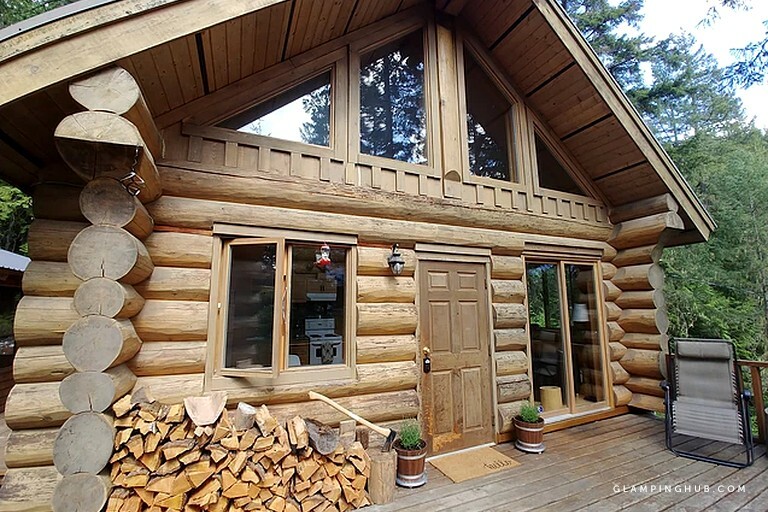 At 600 foot, this little log cabin is not so little. 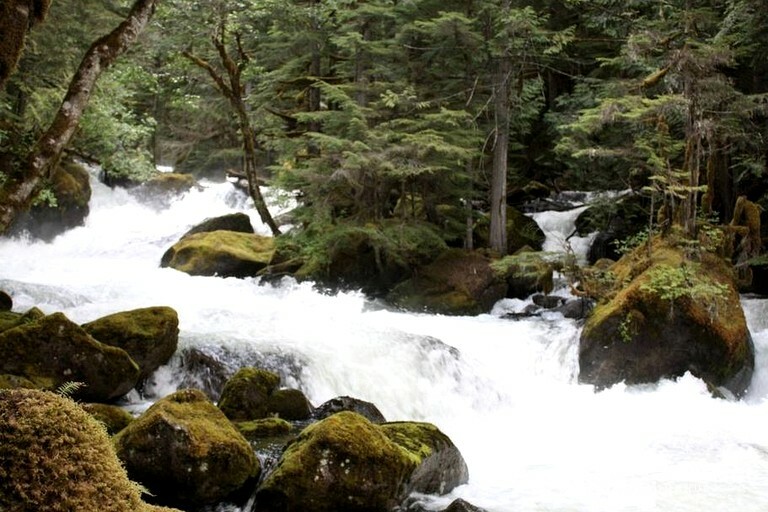 Nestled away from all lines of sight, guests here are able to enjoy the panoramic forest and babbling Joffre creek in complete privacy. The south-facing deck gets bathed in dappled light all day, and is the perfect place to barbeque, read a book, or tell stories around the propane firepit under a sky full of stars. The back deck is a delight for photographers and relaxers alike and features an idyllic wood burning fire pit (in season). It's almost enough to make guests wish they could stop time in this perfect place. Another gem is its neighboring gazebo for guest's exclusive use. Under a ceiling that is lined with over 300 feet of fairy lights, it is a guarantee that an al fresco dinner, or nightcap, will be one of the most memorable. The indoor space boasts a sparkling and complete kitchen and bathroom, mid-century modern touches, a video library, a Crosley record player, and picture-perfect wood burning stove. 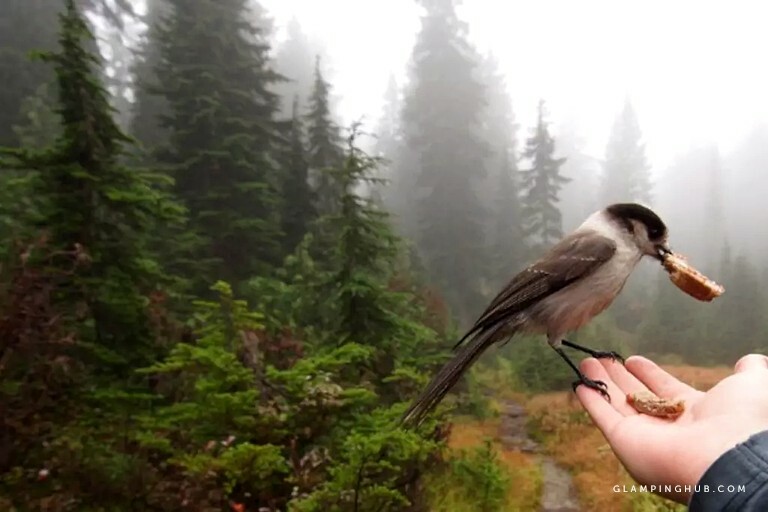 This tranquil escape into the nature of central British Columbia is the perfect way to spend a few memorable days outside of the hustle and bustle of the city. 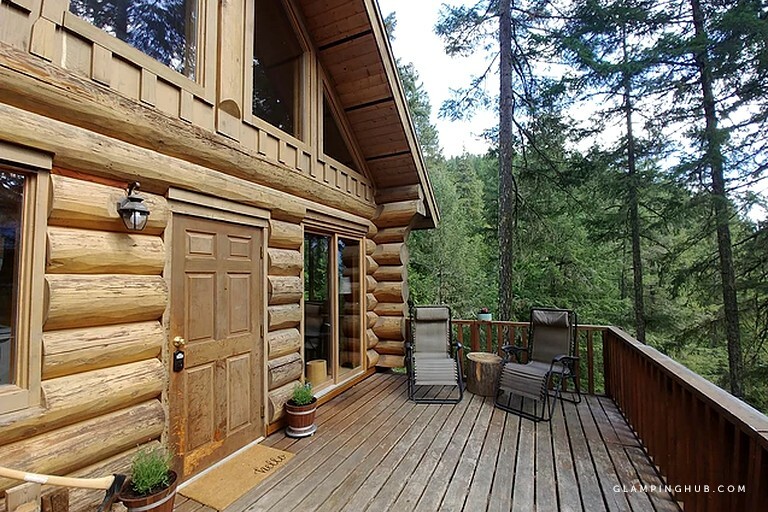 On the property, glampers can wake up with a cup of coffee out on the deck, with panoramic views of the surrounding mountains and pine trees visible past the rental’s perch on a hill. 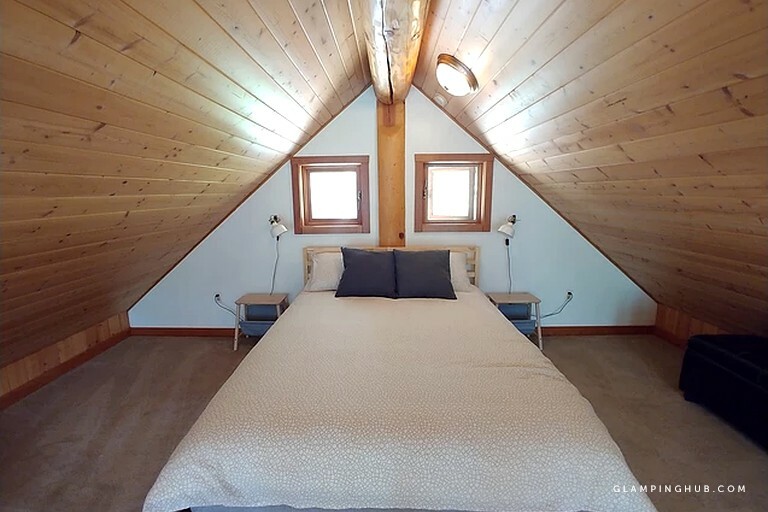 The three and a half acre property also boasts a few separate trails for guests who want to take leisurely strolls through the peaceful woods. 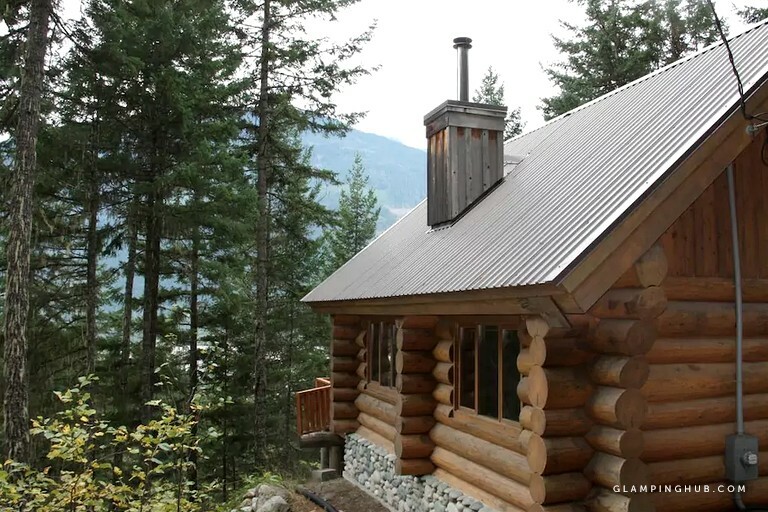 Guests can then pack their fishing gear and head toward Lillooet Lake, where they can kayak, paddle, swim, and fish for hours on the glistening waters nearby (own gear is required). 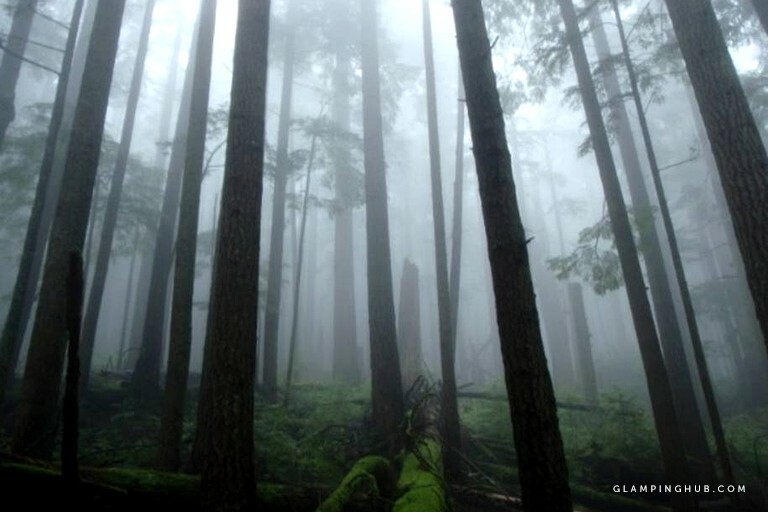 With Joffre Lakes, Nairn Falls, and Garibaldi Provincial Parks all so close by, glampers will have endless options for outdoor exploration during their stay at the cabin. 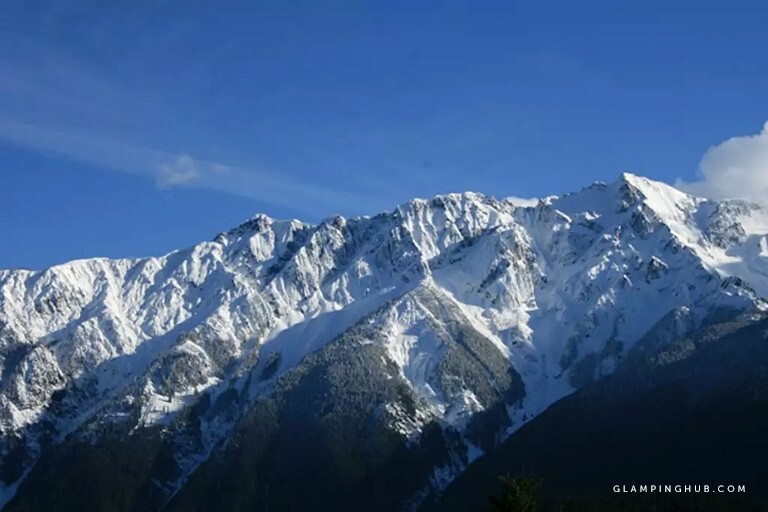 Before taking off on their own, guests can drive into Pemberton and book a guided excursion with one of the companies in the town center, with options like horseback rides through lush green hills, fly fishing charters on freshwater lakes, backcountry skiing in vast snowfields, and paragliding over the valley with the white-tipped mountain tops spread out below, among others. There are a few golf courses in town for those who want to play a round in the afternoons, as well as a selection of restaurants and distilleries in Pemberton where guests can grab a bite to eat or try a local craft brew. 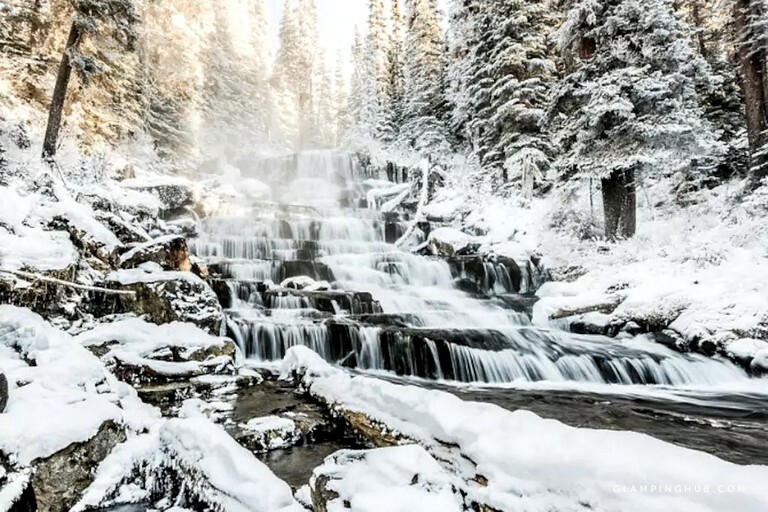 Both Meager Creek and Keyhole Hot Springs are also located in the area, allowing glampers to soak in the natural outdoor pools year round. 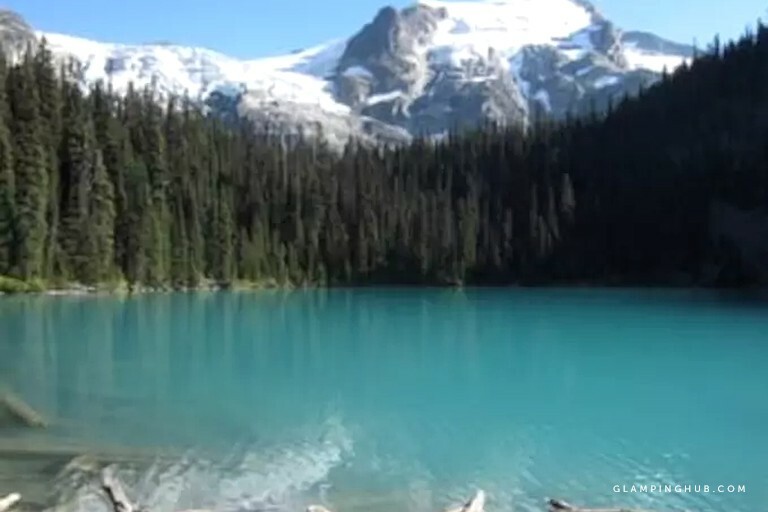 Skiers and snowboarders will also enjoy their proximity to the town of Whistler, as they can drive just 45 minutes south to spend the day on the slopes at Whistler Blackcomb, which is renowned as one of the largest ski resorts in North America. All additional guests must pay a nightly fee ($50), including those staying later than 8 p.m. Dogs are welcome for a per-pet fee. 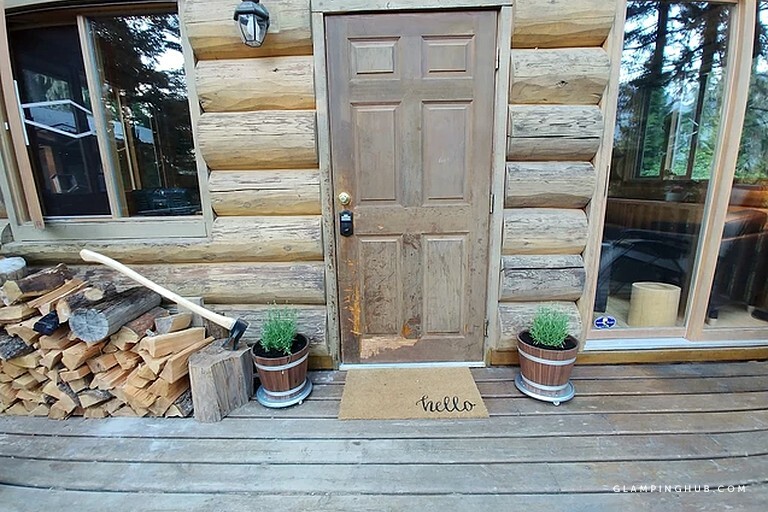 Guests are asked to be mindful of the wildlife in the area and to keep the fire pit clean and BBQ clean at night to avoid attracting bears.